OnePlus One was expected to come with a variety of back case options, but OnePlus announced that mass production of the StyleSwap covers couldn’t continue due to technical difficulties. 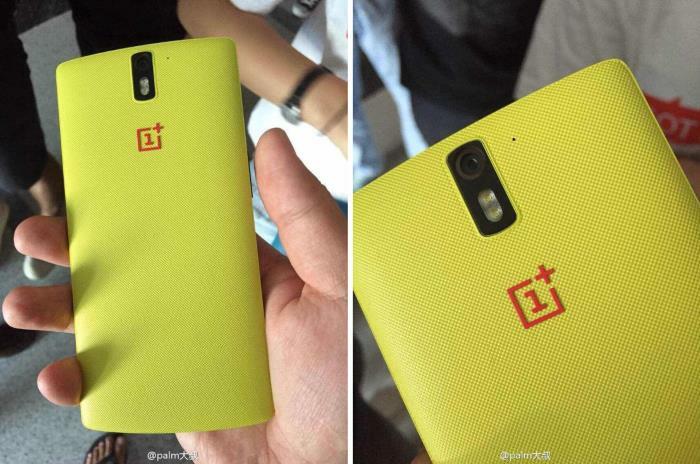 It seems things may have changed, and some fresh images of the OnePlus One with a yellow kevlar back case popped up on Chinese shores. The company announced the OnePlus One will come with StyleSwap back covers in different textures, including Silk, Sandstone, Bamboo, Denim and Kevlar. There are no details available at the moment if we’ll see the handset with the StyleSwap covers in the coming weeks, but things could change. Getting your hands on the device used to be a problem, but the company took limited pre-orders of the device, which didn’t go as smoothly as planned. The next pre-orders are expected to take place on November 17th. The company mentioned it will kick off at 15:00 GMT, and will be problem free this time. There’s a chance we may get to hear more about the new back cover options, if we do, we’ll update you. Are you planning to get your hands on the OnePlus One on the next pre-order day?